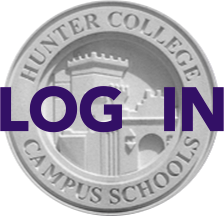 Hunter College High School's Counseling Office and PTA are hosting a Counselors' Coffee in the cafeteria on Tuesday, November 10 at 8:30 am. This is an opportunity for counselors and parents to come together in a casual setting to discuss a topic relevant to our students and families. The conversation will focus on "Avoiding the college frenzy, what do parents need to know about the college process in grades 7-11?" We look forward to seeing you!